So yesterday morning I made 10+ cups of hot chocolate (for myself) in an effort to perfect vegan hot chocolate. Directions: 1. In a sauce pain heat soy milk to 170 degrees Fahrenheit 2. Reduce temp to low and immediately add sugar and stir until dissolved. 3. Add remaining ingredients to pan while on low and mix/froth for approximately 2 minutes with an immersion or stick blender. Alternatively you can pour the heated Soy milk sugar mixture and the remaining ingredients into a blender and blend on high for 2 minutes. Remember hot liquids have a tendency to steam/splash in a running blender so use caution. Addationally if you have a glass blender vessel like myself pre-heat it with hot water (possibly poured out of your preheated mugs. 4. Pour into mugs, sip, and enjoy!! 1. Making 10+ cups of hot chocolate with no one else to drink them but you leaves your housemates thinking you’ve finally lost it. 2. There’s a lot of debate out there about just how hot you can heat soy milk, 170 degrees Fahrenheit was the winner for me. 3. Always preheat your hot chocolate mugs, this can be done by putting your mug (microwave safe of course) in the microwave full of room temp water for approx 2 min (dump out the water and you have a nice preheated mug). Alternatively you can fill you mug with boiling water from another source and let sit approx 1 minute. 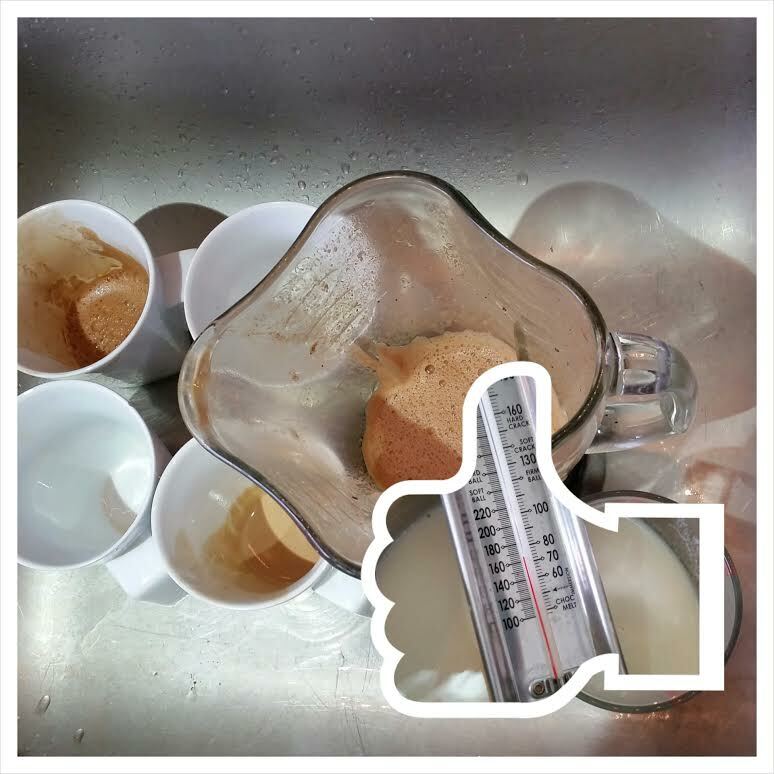 (dump out the water and you have a nice preheated mug). This will ensure your liquidy chocolaty goodness will stay hotter longer and its a cozy pick me up for cold hands. 4. Vegan hot chocolate made with soy milk and raw cocoa will always leave a minuscule amount of gritty taste in your mouth. Sorry folks unprocessed whole foods tend to taste a bit more earthy… nonetheless this stuff is absolutely delicious. I’ll try experimenting with Almond, Coconut, and Rice milk in the future to see if this increases silkiness. This is not Aztec in the least. They used chili in their chocolate, along with other spices (anise, vanilla, achiote… the recipe varies), and plain water, not milk – they had no sources of dairy until after the Conquest. The drink was served cold, not hot. Now if you want to try genuine old-fashioned Mexican hot chocolate, here’s my grandmother’s recipe: boil 1 liter of water with three or four bay leaves, then dissolve a tablet of table chocolate (Ibarra or Abuelita) with a molinillo (wooden whisk). It’s really good, old-fashioned and effortlessly vegan. Interesting perspective, the recipe utilizes chili and vanilla along with cinnamon. According to the ICCO both the Aztecs and Maya would prepare both hot and cold chocolate drinks. Absolutely on the milk, especially soy milk, would not have been a staple ingredient at all during any of the ancient kingdoms thats more a poetic licence, nod to modern “hot chocolate” recipes, and adaptation of what you might find in you local cafe labeled as “Aztec Hot Chocolate”. At any rate thanks for the feed back and informed reply.